Aflatoxin contamination of diets results in disease and death in humans and animals. The objective of the present paper was to review the development of innovative enterosorption strategies for the detoxification of aflatoxins. NovaSil clay (NS) has been shown to decrease exposures to aflatoxins and prevent aflatoxicosis in a variety of animals when included in their diets. Results have shown that NS clay binds aflatoxins with high affinity and high capacity in the gastrointestinal tract, resulting in a notable reduction in the bioavailability of these toxins without interfering with the utilization of vitamins and other micronutrients. This strategy is already being utilized as a potential remedy for acute aflatoxicosis in animals and as a sustainable intervention via diet. Animal and human studies have confirmed the apparent safety of NS and refined NS clay (with uniform particle size). Studies in Ghanaians at high risk of aflatoxicosis have indicated that NS (at a dose level of 0.25% w/w) is effective at decreasing biomarkers of aflatoxin exposure and does not interfere with levels of serum vitamins A and E, iron, or zinc. A new spinoff of this strategy is the development and use of broad-acting sorbents for the mitigation of environmental chemicals and microbes during natural disasters and emergencies. In summary, enterosorption strategies/therapies based on NS clay are promising for the management of aflatoxins and as sustainable public health interventions. 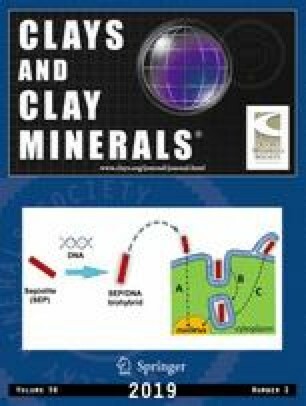 The NS clay remedy is novel, inexpensive, and easily disseminated. The present work was supported by funding through the National Institute of Health (NIH) 1RO1MD005819-01, and the Superfund Hazardous Substance Research and Training Program (NIEHS) P42 ES0277704.